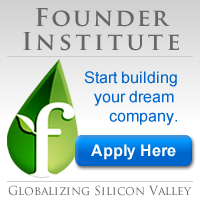 http://www.tiesv.org, http://www.vctaskforce.com, http://www.sdforum.org and http://www.svase.org - the last one runs a weekly "pitch a VC breakfast" each Thursday. Has Anyone Figured Out or Tried to Get Off the Go Big Network? VC forum: What Do You Think about Them? Does anyone have any firsthand experience in using any of the websites or services the claim to provide access to qualified accreditied investors"
We need to find a short path to interim financing. Your thoughts and suggestions would be appreciated. Imagine raising capital, having a fast growing business, and then not being able to raise further capital because your existing investors have no "dry powder" to make future investments. These "walking dead investors" may scare off new investors because they do not participate, and they may even block new financing deals to maintain their equity position. Guess what. It happens a lot, and it happened to me. "Most respondents believe the industry will consolidate further in 2008 with 57 percent predicting the number of venture firms will decrease next year. Those that remain will be raising the same size or larger funds according to 84 percent of venture capitalists polled. Only 16 percent believe funds will be smaller next year."